On August 22nd, Gov. Eric Greitens granted a stay of execution for Marcellus Williams, who was convicted 16 years ago for the 1998 murder of former reporter Felicia Gayle. The governor also ordered a board of inquiry to look into the case because of a series of issues found embedded in the original conviction. The two facts which lead to an immediate stay of Williams’ execution highlight issues that can unfortunately be found in many death penalty cases; particularly cases where convictions were made before we had sophisticated DNA-testing techniques available. Those facts include the following: a) there was a complete lack of DNA evidence from the defendant on the murder weapon; and b) several potential jurors of color were all struck by the prosecution before the trial; an act that should have been subject to strict scrutiny in order to protect against racial bias, but was not. 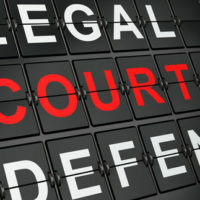 In 1989, the U.S. Supreme Court held that the Equal Protection Clause forbids prosecutors to engage in this kind of practice, which is based on the assumption that black jurors as a group will be unable to impartially consider the state’s case against a black defendant. Still, in 2017, we still deal with the consequences of this practice on a regular basis: CNN reports that African-Americans make up 42 percent of death row but 13 percent of the overall population; in other words, they are three times more likely to be executed than Caucasians. Staying an execution simply to review DNA evidence that was never paid any heed in the original trial is the least that we can do to take steps towards achieving some kind of justice in potential wrongful conviction cases. How can we possibly rely on our criminal justice system if we do not take a moment to pause and review evidence that could exonerate an innocent man unjustly convicted and incarcerated? On August 21, Gov. Cuomo announced that the state of New York is recommitting itself to identify inmates who may qualify for clemency and actively help them apply. Thus far, the program has identified approximately 1,700 potential applicants for clemency. Last December, Cuomo granted pardons to more than 100 New Yorkers under the program. Do not let yourself become a victim of undue prejudice and wrongful conviction. Speaking with an experienced criminal defense attorney as soon as you are a suspect is key to ensuring that your rights are protected. Remember that these initial consultations are free of charge. Contact the office of Phillip Murphy today to find out more about preventing wrongful convictions, ensuring that your rights are protected, and clemency in the state of New York or New Jersey.